Nike, you are taking away a lot from this class, I can see that. Just knowing that you have a lot to learn means you have learned a great deal. I am feeling the same way myself. I think I have the beginning of something then realize I have so much more learn. The research involved……whew! You have done a fantastic job so far and I know you are going to do well with this line. I love the work you have done. 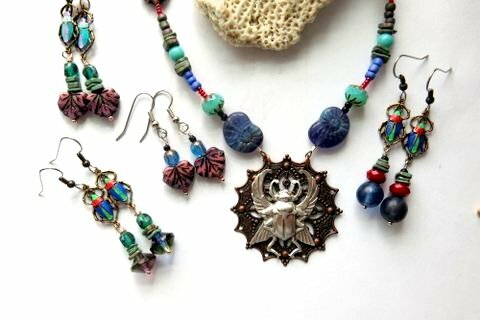 Your pieces are beautiful with well thought out designs and colors. I’m so glad you are on WordPress so I can “follow” your blog and keep up with what else you do. It’s been a pleasure being in this class with you. Thanks so very much!!! It means so very much to me that you have read me! Wow Nike. You’ve done an awesome job. I love your theme, the colors you used and also your designs. 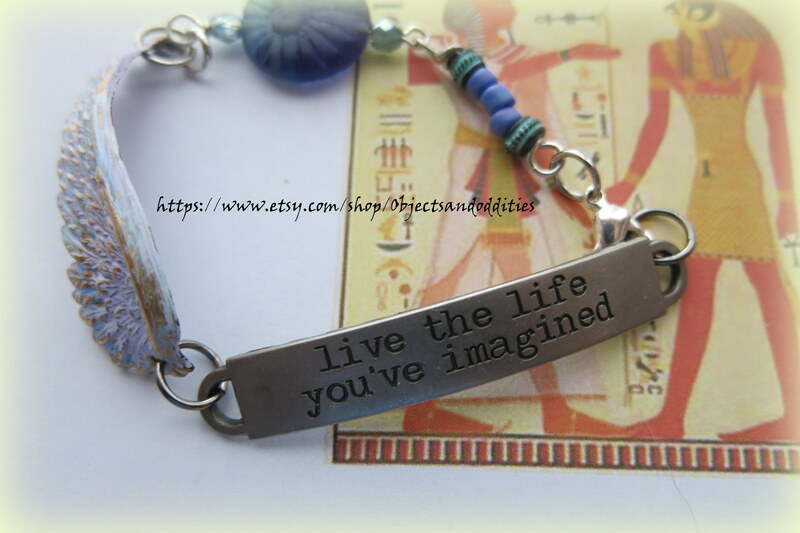 I especially like your Pharoah earrings and also your inspirational message bracelets. What we’ve learned in this class will be with us forever. Because this was a challenge, there of course had to be dates and deadlines but from now on, we can all take our time, to think hard about we’ve learned and make tweaks if necessary to develop our lines further. Thanks Irene, I have more not finished yet. I play on getting it all finished and possted. I have been thrilled to be in class with you! You are an amzing & giving soul! Marica, there will be more to come, I was so excited to rea your blog, best wishes and great success to you. 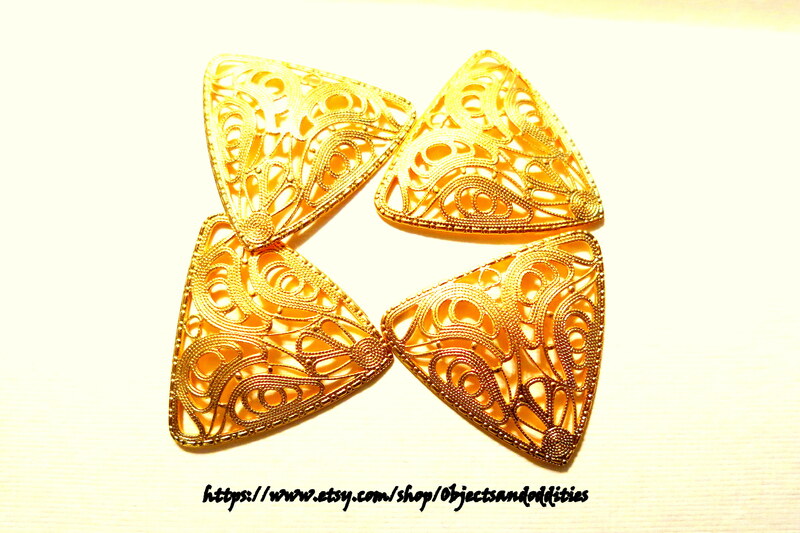 Favored and Hearted your Etsy Shop! I learned so much from you — a huge thanks! Wonderful job Nike! 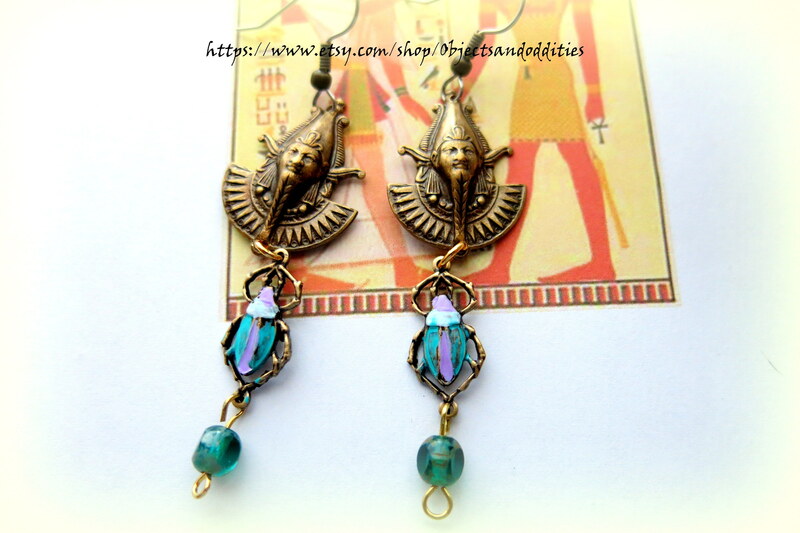 My favorites are the Pharaoh earrings too! I have to say, seeing Super Beetle always makes me happy! Nike, such an interesting and rich theme. Love these pieces. Such a privilege to work with you and the other artists during this challenge. Good luck to you. Very stylish line. Love the colors and the pieces are very cohesive. Thanks Erin~ I so appreciate you reading and liking my pieces! Thanks!! Maria, thanks for reading and it has been a pleasure to work with you also! Thanks Ne! I so appreciate your comments! A great blog with neat interesting info. Loved the paragraph of your take away thoughts. 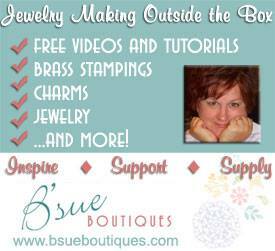 Your jewelry is unique and love the designs. 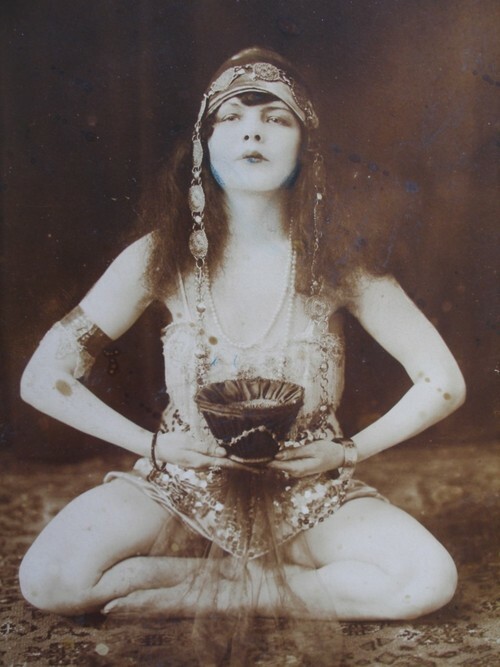 I also love the sidebar pictures….very cool. Very unique and delightful line! Congrats on a great design line! Nike I love your inspirational sayings. Your line is beautiful;. I love your color choices. Thank you Chi! I so appreciate you reading and commenting! Thanks Lynn! I so appreciate you commenting and reading me! What fun we had! Thank you Sue Shade! I appreciate you reading and commenting. I have to get to everyone’s blogs. Thanks so much Tammy! I so agree with you in so many areas! I love to learn and cannot wait to keep working toward all these goals! I am so glad we met! Nike, I really love the colors you chose for your line, and the designs you’ve created. Your blog post story was great and interesting to read. So glad that you took this journey with us, my friend. Thank you so much Louise! I have so enjoyed meeting you and having this experience with you also. I will be around to read you soon! I am a bit under the weather and am reading the Blog Hop slowly. My best wisher to you and how I have enjoyed your work! Oh Ingrid~ thank you so much! I am so appreciative of meeting and working with all of you! What a wonderful experience! I am on the hunt for more of the little pharaohs…. I want to make more of those for sure! 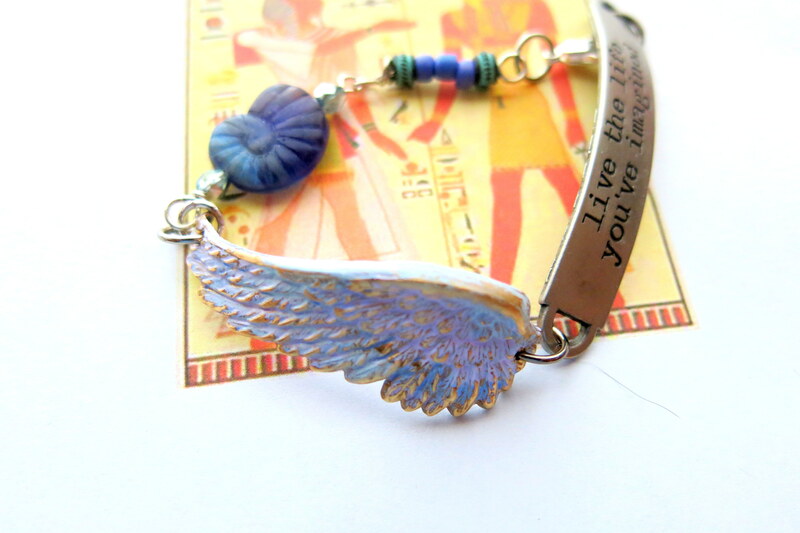 Love the scarab beetles and the sayings you chose. Very wearable line. I hope you do very well. Nike, I love your pieces. They are so unique and have your personal stamp on them. I especially love the colors you used. This is a beautiful line. Well done and it was a joy sharing this adventure with you! leilassparklies thank you so very much! I so appreciate you reading and coming to visit me. I have more sayings to use for my line. Now that I have revealed it, I will be makering more! YAY! Such a great class! Susan, you are such an outstanding talent, and amazing person. You have been so kind to me and I so appreciate your comments! Thank you and I have loved being in this class with you! What an amazing group of women we are all! Best to you and you are in my thoughts dear heart! I have learned so much Brenda, I thank you so very much for this opportunity! You are marvelous and so are all the other “students” — class participants! Thanks again! Nike–Your line is great and very unique. 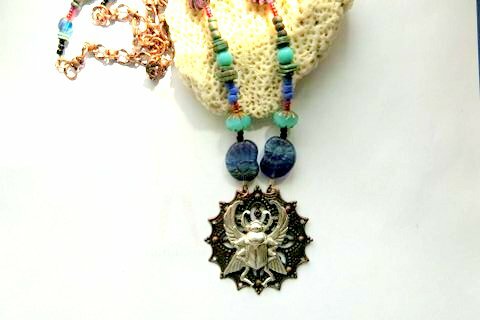 I loved your use of the colors with the gold and the Egyptian themed charms, etc. Thanks for summarizing the take-aways. I think we all took a lot away from this class. Congratulations! Thanks so much Lynda! I loved your line! I so appreciate all the people in the class, and had so much fun! 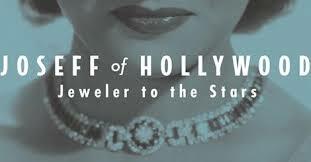 People like jewelry with special theme. Yours rock! I like the color and how you use the stamping. I have some Egyptian connectors but they are just sitting in my drawer. So glad we are learning together in this class. 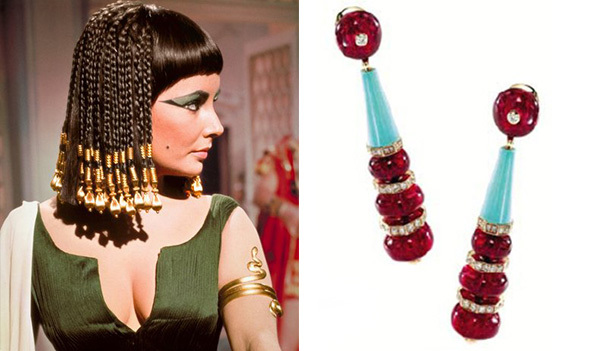 I really love Egyptian styled jewelry there’s something so mystical and magical about it and your line is just stunning. I love all your beautiful color choices as well and it was an honor be with all of you on the journey. XOXO! Nike, you’ve been such a help through this whole class, Thank You! On top of that, you’ve made some really cool pieces, timeless and just right for the present at the same time. You’ve captured the colors perfectly! 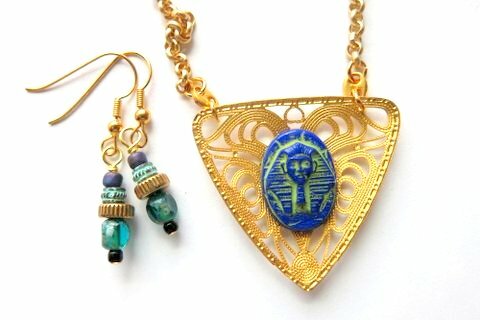 The lapis & turquoise were a big part of Egyptian pieces & are big favorites still, as you rightly noted. It has been a tough but rewarding time working through the challenge, I’m so glad to have been in it with you. Nike it has been wonderful to work with you for this challenge! 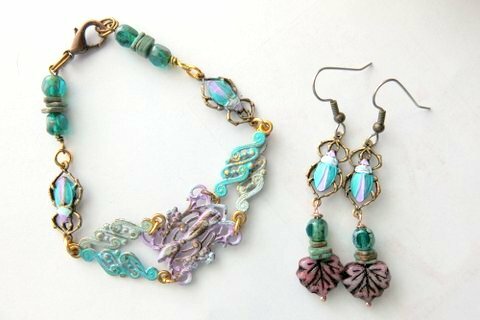 I love your designs, the colors are wonderful and i Love the variety and texture and movement!!! Great Job! Be Blessed! Thanks so much Jann! You made some real pretties, and I thank you for your friendship! Thanks so much Robin, what fun we all had! I loved working with all of you! Be Blessed! Teresa! Thank you so very much! I have loved being in this class with you! Thank you for your words of encouragement! Be blessed! Thanks KatB so very much!! I appreciate you so much! What fun you are Melissa! I appreciate you so much! Thanks! Nike, you have a good eye for color and your line is going to be a hit for sure! 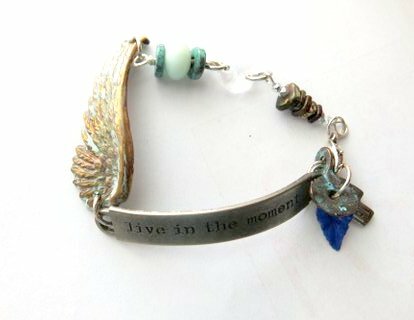 Get ready to be very very busy-especially those fun bracelets! Thanks Nadine. I have so enjoyed being in this class with you and all the others! I learned so very much! Take care, huge sales to you and I wish you all the best! Thanks so much Jjan! I have loved doing this class with all of you! Wow, a lot to learn and I am mulling over it all! I wish you the very best always! Best Wishes! Thanks Kat! I have so enjoyed this class and working along side all of you! 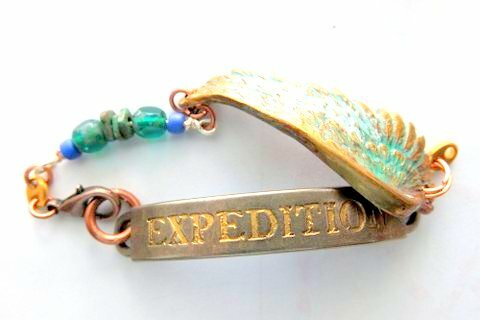 The “Expedition” bracelet is my favorite. I am seeing the “angel” wings in a whole new way now. I definitely can see them as a major element in Egyptian art, never noticed that before! 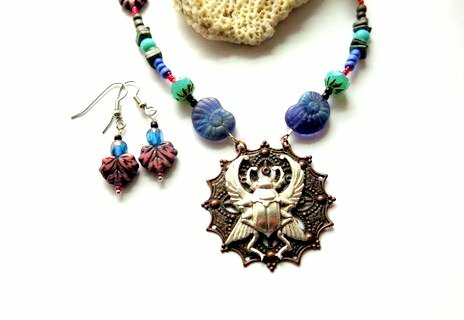 Your scarab pieces are also lovely. Your colors are great! Keep it up, you’ve got a great line. I was really excited to see Egypt themed pieces in the challenge! Alexandra, thank you so very much! Thanks for noticing the colors, I worked hard to age and distress them and loved how they turned out. I was hopeful others would also like them! So enjoyed the class with everyone! 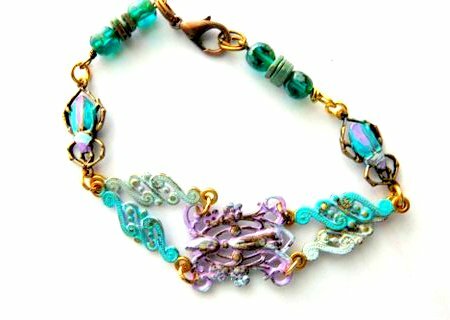 Love the color combinations and how you translated the time period into jewelry design. Best wishes to you, Nike!